Cohesity provides the only hyperconverged platform designed to eliminate secondary storage silos. Cohesity consolidates all secondary data and associated management functions on one unified solution – including backups, files, objects, test/dev copies, and analytics. 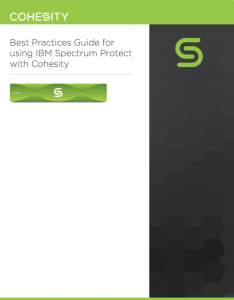 Cohesity DataProtect eliminates data protection silos by converging all your backup infrastructure on the Cohesity scale-out platform. Simplify management with a single UI and policy-based automation. 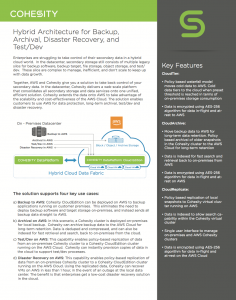 Accelerate your recovery points and recovery times while cutting data protection costs by 50%. Integrate with all the leading public clouds for archival, tiering and replication. 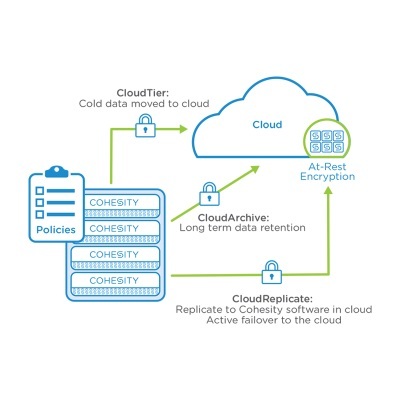 Cohesity solution integrates with Google Cloud Storage, Microsoft Azure and Amazon S3/Glacier to extend the on-prem data protection to connect with these public cloud services.